As a unified, coordinated global event, World Hepatitis Day on the 28th July has only been observed since 2010. Concerned at the disparity between increasing mortality from viral hepatitis and the glacial pace of international efforts to combat these diseases, the World Health Assembly (the legislative body of the WHO) adopted the first resolution on viral hepatitis, establishing World Hepatitis Day to “provide an opportunity for education and greater understanding of viral hepatitis as a global public health problem, and to stimulate the strengthening of preventive and control measures of this disease in Member States.” The intervening 7 years have seen World Hepatitis Day and associated campaigns increasingly capturing public imagination; as the content published here makes abundantly clear, however, there is a long way to go before viral hepatitis commands the same attention as other communicable diseases with similar global mortality and morbidity burdens, such as malaria, HIV or tuberculosis. Many members of the public would find the statistics on the burden of viral hepatitis appalling. An estimated 3.5% of the global population are infected with the hepatitis B virus (HBV), corresponding to ~257 million people. In Africa and the Western Pacific, prevalence rises to ~6% of the general population. The WHO estimates that up to 65 million women of childbearing age might also be chronically infected, risking transmission of HBV to their babies in the absence of preventative measures. In 2015 alone, HBV killed ~884,000 people. For hepatitis C, the picture is equally bleak. An estimated 71 million people worldwide are infected with HCV, with ~400,000 dying from the disease each year. As with HBV infection, prevalence differs dramatically by region, with 2.3% of people living in the WHO Eastern Mediterranean Region (which covers the Middle East, North Africa and countries in Central Asia) infected, equating to ~15 million individuals. Comparatively, prevalence in South East Asia is only 0.5%. 115TH CONGRESS 1ST SESSION S. RES. 236 Recognizing July 28, 2017, as ‘‘World Hepatitis Day 2017’’. Recognizing July 28, 2017, as ‘‘World Hepatitis Day 2017’’. Hepatitis C has a catastrophic impact on people’s lives. According to UNODC’s World Drug Report, of the 12 million people injecting drugs globally, 6.1 million are living with the terrible effects of hepatitis C.
There is positive news. Advances in medicine mean there are effective treatments for this disease; including from World Health Organization (WHO), which has just recently pre-qualified the first generic hepatitis C medicine. This will hopefully ensure that many more people receive the benefits of medicine and science. We need to remove barriers to expand hepatitis B and C prevention, testing and treatment to everyone. People in prisons should be able to access hepatitis prevention and treatment services that are equal to those offered in communities. Such efforts will help reduce the spread of hepatitis C in prison populations, but also in the wider community. Today presents an important opportunity to increase awareness of viral Hepatitis and to educate our communities about the resources and tools available to inform the public about the concrete steps they can take to help tackle the epidemics. There are an estimated 2.7 million people living with chronic Hepatitis C in the U.S., and as many as half are unaware of the infection. When it comes to Hepatitis B, the CDC estimates that between 850,000 and 2.2 million people have chronic Hepatitis B in the U.S., and approximately 19,200 new Hepatitis B infections occur each year. Advocates, state health departments, and policy makers need data-driven tools to push for better programs to provide testing, care, and treatment for Hepatitis C for people in need of services across the nation. We can all play our part in helping get the word out by taking a few simple steps that could make a big difference. 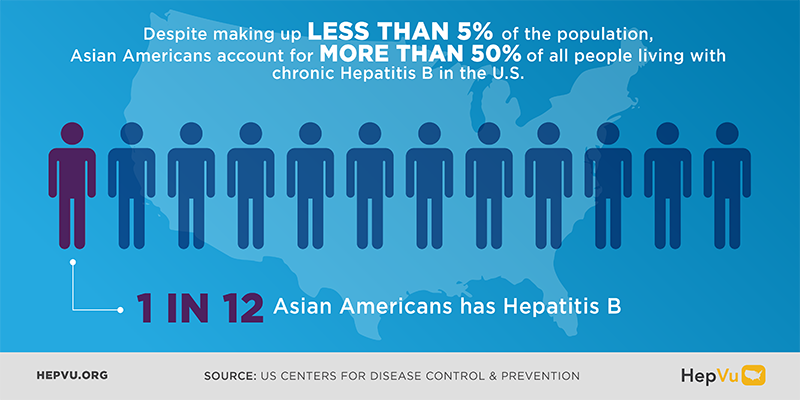 Educate Family and Friends: Share our infographics on Hepatitis B & C with your networks. 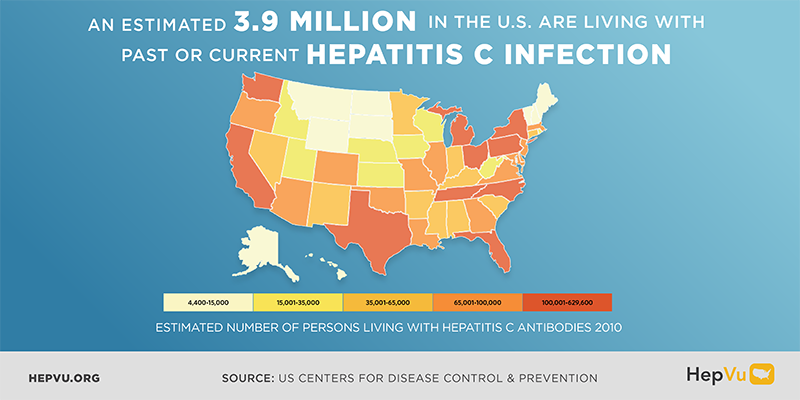 Know Your Hepatitis ABC’s: Visit our website for information about Hepatitis A, B, & C.
Understand Hepatitis Where You Live: Check out our interactive map that illustrates the first standardized state-level estimates of people with past or current Hepatitis C infection across the United States. Copyright © 2017 HepVu.org, All rights reserved. You signed up for our mailing list via our website. This year’s World Hepatitis Day is fast approaching and we need you! Thank you for all your efforts on World Hepatitis Day! Today, 28 July, is World Hepatitis Day, a momentous occasion for all of us to come together to raise awareness, demand action in disease prevention and access to testing,treatment and care, and transform the lives of the 325 million people living with the illness. From lobbying governments and organising events to raising awareness online and through the media and participating in the #ShowYourFace campaign, every action is an action towards elimination. Take a #ShowYourFace selfie: Help to put a human face to elimination of viral hepatitis by sharing your #ShowYourFace selfie. Take a selfie and add your own personal I AM statement here. Share graphics on social media: Help to raise awareness by sharing infographics and social media graphics based on the WHO Global Hepatitis Report, 2017 on social media. Watch ‘We Are NOhep’ documentary: Check out NOhep’s first global documentary that shows the tireless efforts activists, policymakers, patients and professionals from across the world are making to save lives and eliminate hepatitis by 2030. Tell us about your activities: Send us photos and videos from your events and tell us how you’re celebrating WHD. We’ll be sharing an evaluation form soon but feel free to send us all info now! Today NOhep launches its first-ever global documentary showcasing the key activities people, governments and professionals are taking to eliminate viral hepatitis. Watch the documentary here. We’d love for you to distribute it as wide as possible via your website, social media and at events. If you’d like to translate it, please get in touch at connect@NOhep.org. Thank you to each and every one of you for efforts to mark World Hepatitis Day and help to eliminate hepatitis. The Global Effort Starts at Home – Tomorrow July 28th is World Hepatitis Day! World Hepatitis Day (WHD) is tomorrow July 28th and there are many ways you can join in the global fight against hepatitis B and C. This year’s theme is Eliminate Hepatitis, it will take efforts from ALL sectors—federal and nonfederal, local and national, private and public—to begin to make progress toward elimination of hepatitis B and C. In addition to getting information from www.hhs.gov/hepatitis and downloading our National Viral Hepatitis Action Plan, 2017-2020 (PDF), check out these resources you can use to get involved—on World Hepatitis Day and beyond. Download multilingual campaign materials and get involved with official World Hepatitis Day activities by joining the #ShowYourFace thunderclap and findingevents near you. Use CDC’s Resources for World Hepatitis Day. Promote hepatitis testing! The CDC has a valuable tool to help you learn if you should be tested. Get social and go viral—spread the word about WHD via FB, Twitter, Instagram, Snapchat and more! Use #WorldHepatitisDay, #ShowYourFace, and #NOhep.